You really can't think of late night TV without mentioning Jay Leno. He had a huge impact on NBC during his time as the host of the Tonight Show from 1992 until 2009. He also has a world renowned car collection and when he's not on tour, he can be found working in his private garage on one of his hundreds of vehicles. What many people may not know, is that Jay gives very generously to charity. He once auctioned off his Fiat 500, giving all of the proceeds to a charity for veterans who were wounded and required temporary housing that allowed them to recover. He is also the Grand Marshal for the Love Ride and has been doing so since 1984. This is a motorcycle charity event that has raised over $14 million dollars for various charities over the years. These are to name a few of the very kind and generous acts he has participated in. Don't miss your chance to see this iconic man live. 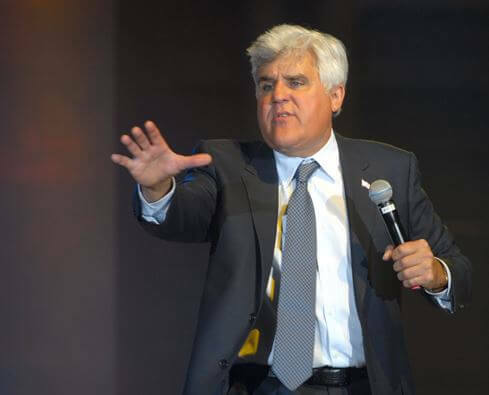 Grab your Jay Leno tickets now!